We all have those days or weeks (maybe – months?) when we don’t know what, how or why to create. Maybe we try and get frustrated or just don’t feel motivated to try at all. I’ve been there and I know many creative people who experience the same thing. So if you’re wondering why this happens to you… I hope it helps you to know that you are not alone with this. It was comforting to me when I realized it, so I hope to share that with you. I’ve even read the theory that being creative is a cycle and a period of creative drought is part of the process. 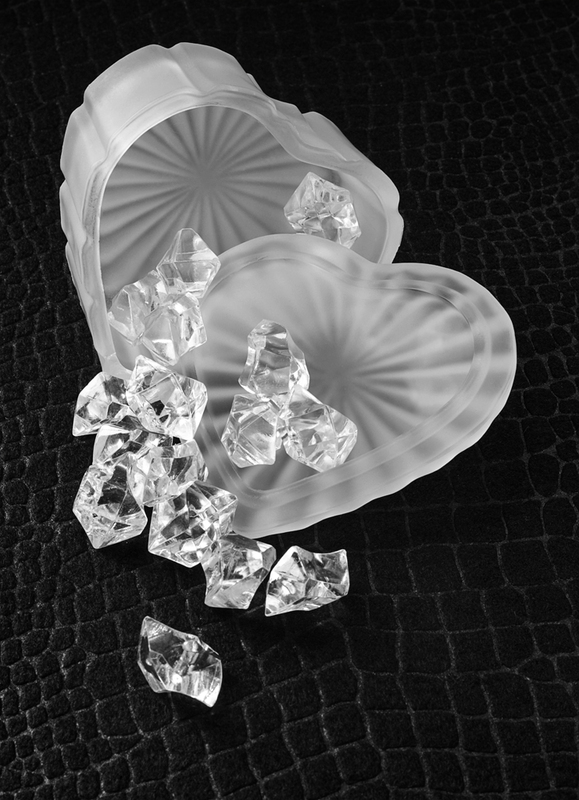 Open your heart of glass and ice spills out: the world of the broken-hearted. Black and white still life image created by Cheryl Belczak with a window light challenge. Part of the process or not, it brings me peace to notice, understand and choose my own ways of coping with it. I try to find things to occupy my time and thoughts in an effort to work toward busting through the grip of unseen creative barriers. Flower Dream. 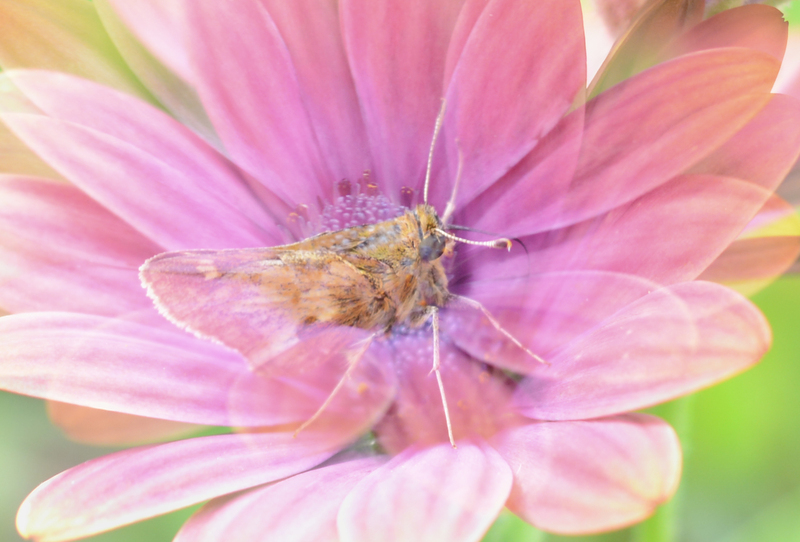 Photo by Cheryl Belczak taken while “ON ASSIGNMENT” with an in-camera double exposure challenge. Other times I turn to alternative projects. I read an article titled “What to Do if You Can’t Find Your Passion” by best-selling author Elizabeth Gilbert, where she shared “I temporarily ease off the pressure by exploring something new, some completely unrelated creative endeavor—something that I could find interesting, but with much lower emotional stakes.” She speaks of passions and curiosities. This was familiar to me because I had been doing this. Yet I was doing it without the realization and intuition that this is helpful and perhaps part of the process. For me my passion is photography. Aside from that I explore other things that somehow benefit my photography. Activities like reading, gardening, writing, crocheting and other things. [Check here for more information about a quick, inspiring and motivating book that will get back to your work.] I usually try to incorporate some level of creativity into everything I do. Even getting dressed! Another method that seems to be more proactive, related and relevant is to go “ON ASSIGNMENT.” For me, it helps to limit my technique or subject in photography in order to explore one concept more completely. It also motivates me to *just shoot* without so much pressure. Usually the images I am most proud of are the ones that I carefully set up, compose and light. This leads me to resist using my camera if I don’t have the time, energy or patience to be that involved and engaged. These are the times when an assignment or challenge gives me the freedom to not be so serious and just shoot to see what happens. I participated in an online monochrome challenge with the Digital Photo Mentor, Darlene Hildebrandt where she suggested setting the camera to record in monochrome. I did not like that idea for many reasons, but I took the leap anyway and learned a lot. I learned enough to fill another post and to recognize all my “reasons” as excuses. Check back for the link to my thoughts about it. Currently I’m involved in a “Black and White Working Group” where we meet once a month for four months to explore the concept of black and white photography including what makes a compelling black and white image and how to create one ourselves by making and talking about our own images. At each session we are also challenged with a subject and/or technique. My current assignment is to use window light only. Often I shoot at night with artificial light at night. This challenge forced me to find time during the day to work and it seemed like it would be less complicated to set it up, but the ultimate benefit is that this assignment pushed me to experiment, take photos and learn from the experience. These are just a few of many possible ideas. What other “ON ASSIGNMENT” ideas would you like to try? What other resources and communities inspire and motivate you? We’d love for you to share in the comments below. Thank you for reading and your feedback! 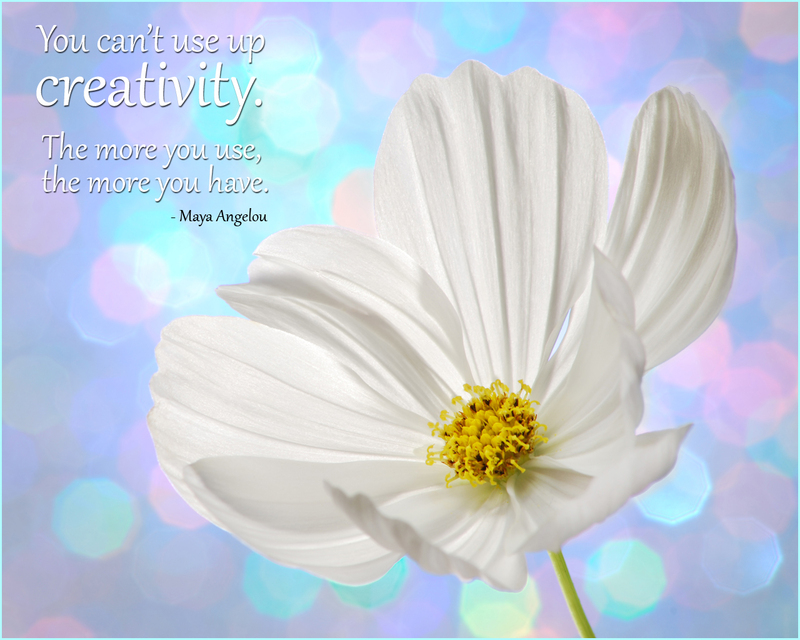 Wishing you much creativity and motivation! Next Next post: Ready to Ride?